Lately, I’ve been binge-watching an Amazon Prime show which has also garnered attention at the Golden Globes, The Marvelous Mrs. Maisel. It’s a hilarious delight that many classic film fans may likely enjoy for its classic 1950s/1960s vibe. The cast delivers top-notch performances, as reflected by Rachel Brosnahan’s (as Mrs. Midge Maisel) 2019 Golden Globe win for Best Performance by an Actress in a Television Series- Musical or Comedy, for a second year. While streaming my latest obsession, I was struck by Maisel’s sidekick’s resemblance to actress Patsy Kelly. “The Marvelous Mrs. Maisel” Rachel Brosnahan’s Mrs. Maisel is inspired by Joan Rivers’ early stand-up days. Alex Borstein as Susie Myerson channels Patsy Kelly, in my humble opinion. 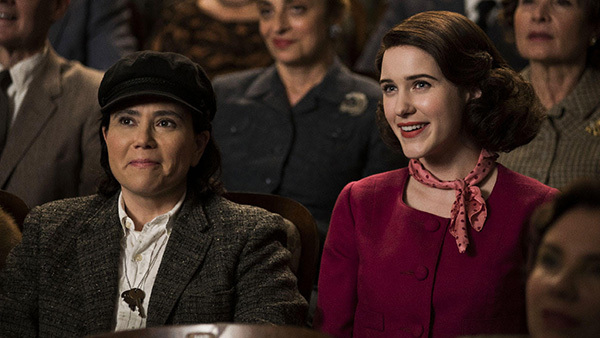 Alex Borstein portrays Mrs. Maisel’s manager, Susie Myerson. Short-statured tomboy Susie and her no-nonsense, wisecracking dry wit provide the complementary balance to perky, pristinely girly Midge. While immensely enjoying the chemistry of this friendship, I noticed the striking on-screen parallels between Susie and the classic character actress Patsy Kelly. 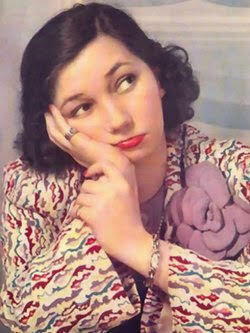 In the 1930s, Patsy Kelly was a popular supporting comic relief on the silver screen. Born to Irish immigrants John and Deila Kelly in Brooklyn, NY on January 12, 1910, this month would have been Patsy’s 109th birthday. Starting at the age of twelve, Patsy was already on the vaudeville stage. Here is where she honed her craft for ad-libbing and comedic timing. Then, the Broadway stage is where she was performing when Hal Roach brought her to Hollywood. Hal Roach was attempting to create a female Laurel and Hardy duo. He paired beauty Thelma Todd with ZaSu Pitts. In 1933, Pitts left Roach Studios so Roach paired Todd with newcomer Patsy Kelly. From 1933 to 1935, Todd and Kelly made 21 two-reeler comedy shorts. Born in Lawrence, MA on July 29, 1906, Thelma Todd was a stand-out with a myriad of gifts in beauty, intelligence, acting and a natural instinct for physical comedy. She seemed destined for greatness. Well-educated, Todd planned to teach but her mother devised other plans that focused on her physical attributes via beauty contests. Upon successfully winning several competitions, she was recruited to the silver screen. A versatile asset to the studios, Todd was adept equally in drama and comedy roles, and she transitioned well from the silents to early talkies. Soon she was signed to Paramount and her acting career flourished in the late 1920s. In romcoms, westerns, and dramas, she worked with co-stars such as Gary Cooper, Richard Dix, Buddy Rogers, and Nancy Carroll. But comedy was her best strength. She excelled in comedy shorts and was notable in comic pairings with Laurel and Hardy and the Marx Brothers (Monkey Business (1931) and Horse Feathers (1932)). Thelma Todd with Zeppo and Harpo Marx in Horse Feathers (1932). 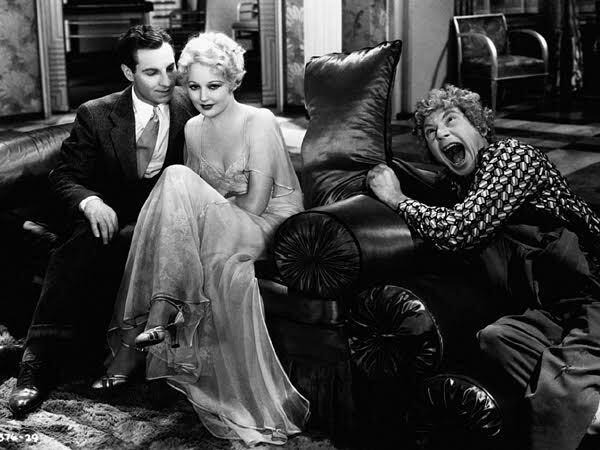 Todd was the eye-candy version of Margaret Dumont for the Marx Bros. films. 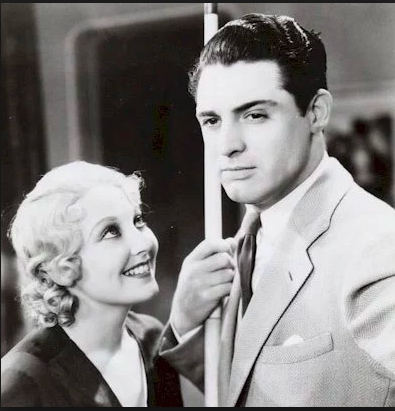 Both Todd and Kelly were riding a rocket trajectory in their careers in 1935 when their partnership abruptly ended with Thelma Todd’s death at the mere age of 29 years old. Todd was a smart businesswoman and the nite club she owned was the popular hotspot for Hollywood celebs and tourists alike. When her body was found in her garage, the police rushed to claim her death as a suicide by carbon dioxide. This has been refuted by most, then and now. The prevailing theories center on both her business partner Roland West and Todd’s refusal to yield to the mob’s pressures to turn her club into a front to launder money. 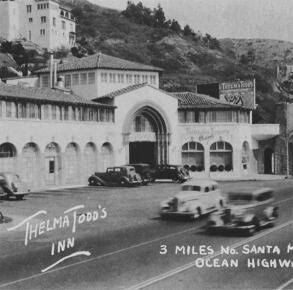 Side note: While in the area for a recent TCM Film Festival, my friends and I visited Thelma’s Sidewalk Café in its beautiful Pacific Palisades location along Pacific Coast Highway in Santa Monica. Gives you goosebumps to see it in person. Separate from Todd’s unexpected death, Kelly’s career soon suffered its own challenges. Kelly was a reliable B-lister for dry wisecracks. But she was also a rare example in the 1930s of someone who was very honest to the press regarding her sexuality. When her career began to tank as a result, her friend/occasional lover Tallulah Bankhead hired her as a personal assistant during the rough years until television eventually allowed her a chance for a comeback, outside of poverty row films. Times changed and she found work not only on TV but in a few films again (i.e. Rosemary’s Baby (1968) and Freaky Friday (1976)). Patsy returned to the Broadway stage, as well. Her final stage performance was alongside Debbie Reynolds in Irene (1973). Her final television gig was on the hit show, “Love Boat” in 1979. After suffering a stroke the year prior, Patsy Kelly died September 24, 1981. 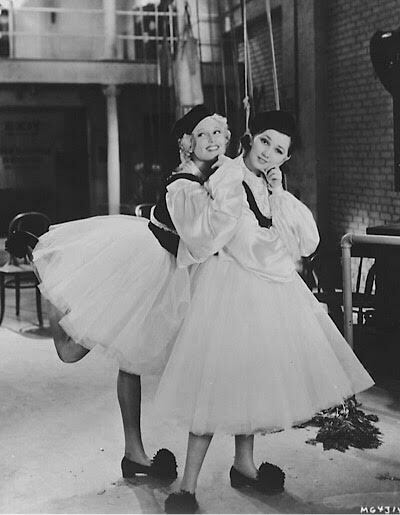 Thelma Todd and Patsy Kelly’s on-screen teaming was not simply two actors who performed together for a time, they were an anomaly then and now. What Hal Roach attempted was a series of an actual female comedy buddy duo concept, where each is essentially equal and they both focus on physical comedy. It would be easy to have fallen for the trap of Todd playing the straight, thanks to her physical beauty, leaving all the slapstick to Kelly. Luckily for us, Roach could see Thelma was much more than a pretty face and possessed that comic instinct. It would additionally have been a convenient stereotype to set up a power imbalance between the two in these Kelly/Todd shorts. Rather, these shorts generally place them as working women who are both struggling to make it, always with hilarious results. Similar to the Laurel and Hardy model, friendship is at the core of the relationship, even in those trying moments that lead to funny mishaps. While there are obvious differences in their appearances, one is not forced to play the child-like, daft or inferior one (that is frequently found in comedy duos). Both are usually on equal terms. I wondered what other female buddy comedy duos have come along in the same vein as Todd and Kelly. Lucy and Ethel (of the “I Love Lucy” TV series, 1951 – 1957) were/are extremely popular characters and created some of the funniest bits in television’s history. But I always got the impression Lucy always had the upper hand in their balance of power. She was clearly the main center of attention so for me personally, they do not quite fit the bill. Then I thought of more modern-day female comics. In many ways, I see Tina Fey and Amy Poehler as carrying on some of that Todd/Kelly vibe. Kristen Wiig and Maya Rudolph are also hilarious but do not lean into the slapstick side quite as much, although I believe they’re perfect for it. For my money, Melissa McCarthy is the best example of a modern-day instinct for physical comedy. While her ensemble performances are most well-known, she has paired with other female comics in several films that are slapstick gems (i.e. with Miranda Hart and Rose Byrne in Spy (2015), and with Sandra Bullock in The Heat (2013)). 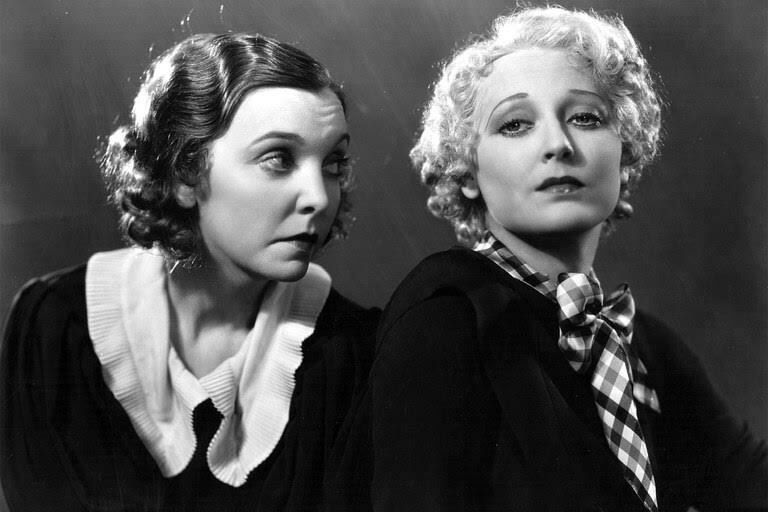 While there may be a few examples here and there that come somewhat close, I believe it’s a great loss for all audiences that we have not seen Hollywood attempt to recreate an on-screen female friendship duo that excels in slapstick on par with Thelma Todd and Patsy Kelly. This entry was posted in Posts by Kellee Pratt, The Funny Papers, Uncategorized and tagged Patsy Kelly, slapstick, Thelma Todd. Bookmark the permalink. Oh my goodness! There is a resemblance. How did I not notice that before? Right?? There really is! I noticed it right away because I’m a big Patsy Kelly fan. Looks, mannerisms, humor style, and I love the friendship. Huge Marvelous Mrs. Maisel fan, too! 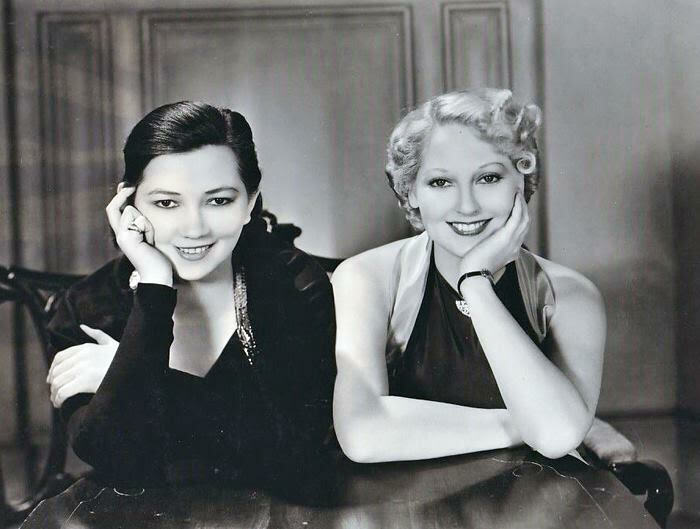 Thank you for the great write-up on Thelma Todd and Patsy Kelly. Patsy is so funny, and it delights me to see her pop up unexpectedly in comedies I’m watching. I’ve been fascinated by Thelma Todd for years, and have a replica of the menu at Thelma Todd’s Cafe and an original matchbook! She was so beautiful, funny, and multi-talented.